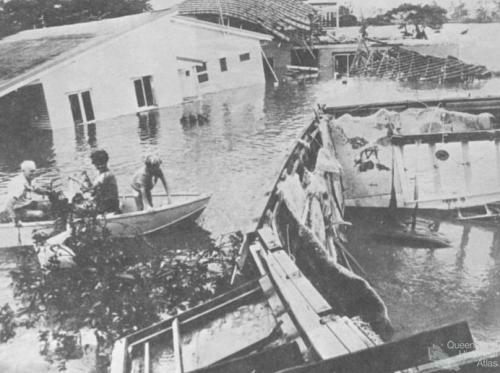 Flood in Yeronga, Brisbane, 1974. This image originally appeared in the Queensland Times on 31 January 1974. 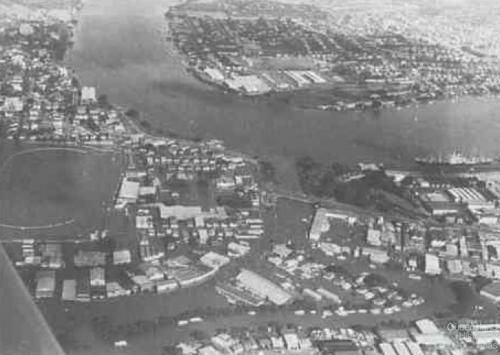 The Brisbane River and Breakfast Creek, 1974. This aerial image of the junction of the Brisbane River and Breakfast Creek originally appeared in the Courier Mail on 30 January 1974. Tennyson powerhouse, Brisbane, 1974. 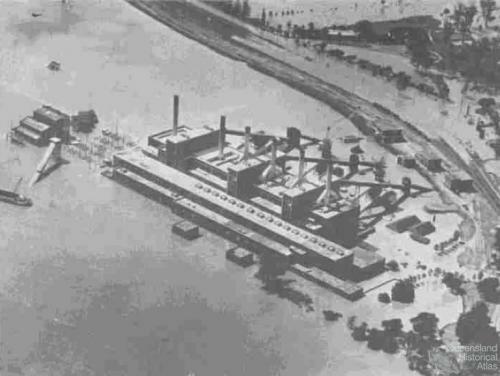 This image of the flooded Tennyson powerhouse appeared in the Courier Mail in 1974. Margaret Street, Brisbane, 1974. This image originally appeared in the Courier Mail in the wake of the Brisbane floods. Proposed Wivenhoe Dam, 1972. 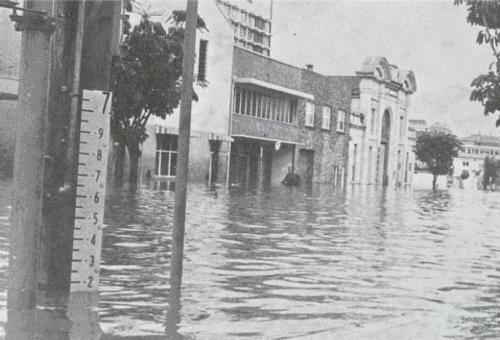 This map followed a series of minor flooding events that occurred in Brisbane in 1972. 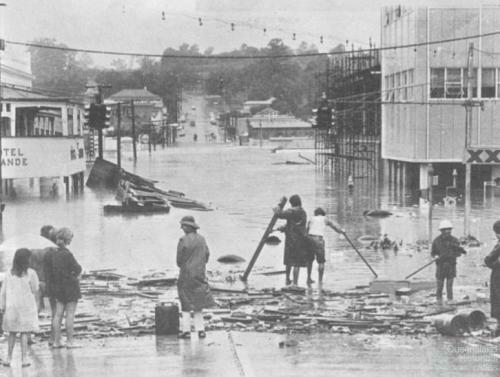 Brisbane River flood map, 1953. The Brisbane River floods. In the extreme episodes of natural disasters a boatload of stories flow from the mouths of people to comprehend their landscape. 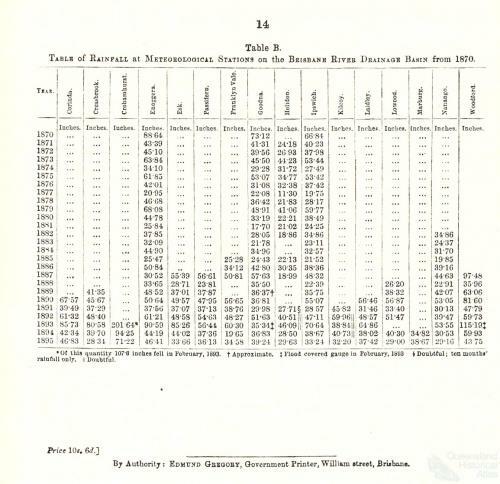 Rainfall in the Brisbane catchment 1870-95.